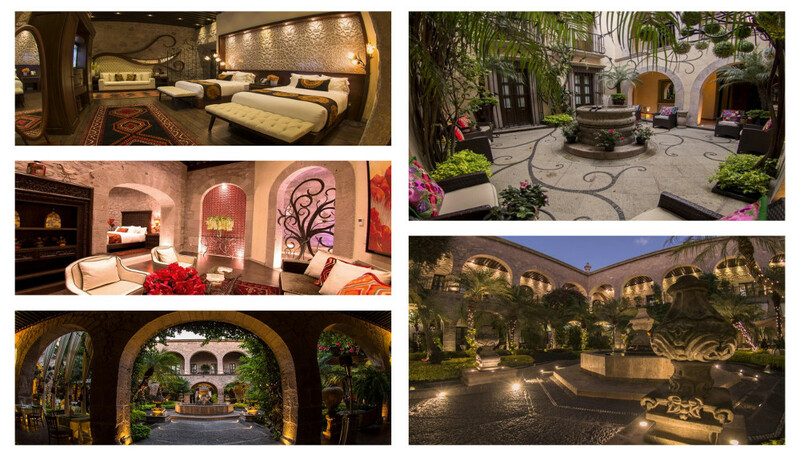 Located in the historic Mexican city of Morelia, Hotel de la Soledad is a stunning luxury hotel with a rich and vibrant history. The building is the oldest lodging site in Morelia, with its use dating back to the 18th century. Under new management in 2008, the property underwent an extensive restoration which transformed it into the modern and luxurious abode that it is today. The location of the hotel is perfect for discovering the wonderful sites of Morelia and is within walking distance of main attractions. Guests are ensured a unique and unforgettable stay in absolute luxury. Designed with your comfort in mind, the rooms are spacious and combine a colonial style with modern elegance to create an opulent ambience. All of the rooms are soundproofed and guests can opt to stay in one of the master or junior suites or a superior deluxe room. Intricate detailing sees the rooms decorated with original artwork and pieces in wood and marble to retain a colonial charm. The onsite restaurant and bar will also tantalize the taste buds with a delicious selection of mouth-watering Mexican food in a stunning setting overlooking the courtyard, which is beautifully adorned with palm trees.